Starting off Bright & Early. So I told you about that weekend shoot for that crazy music video. It was tons of fun, and here I am posting about it! 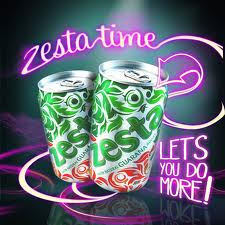 Zesta was very kind to have dropped in some drinks (one of the perks of being an Invogued Influencer!) and boy, am I glad they did! We were in the SCORCHING HOT SUN, there was a lot of sweat, a lot of heat and good thing for us, a lot of Zesta to keep our spirits up. I was running between rehearsals and shoot and I'm surprised to find that although I'm TOTALLY MENTALLY STRESSED-OUT right now, my body isn't having a breakdown on me. (Thank heavens!) Which is why I've decided to take a little break from work right now and upload my crazy weekend experience! We started off early in the morning, but that didn't stop the sun from deciding to shine as brightly as it could. It felt like mid-day sun at 9am. It even drizzled a little, but nothing was going to dampen our spirits! In case you were wondering, what music video is this? It's a National Day tribute, but at the same time a parody of all that has happened in the past year. Well, true love is always expressed through mockery. It's an independent project by SINdie, with Jeremy Sing leading the team as director/producer/choreographer/syncronized swimming instructer/and everything else over and in between! But what a great effort! Rehearsing the syncronised swimming with only a small portion of the entire cast. Some more maids, Jolene and Evon cooling off by the pool with a cold drink in hand. Sharina has a beautiful smile! FINALLY managed to catch her without her covering her face! I love this photo, this girl is so cute. There were lots of familiar faces, with Evon Chua Campus Superstar who plays one of my fellow maids, and Chua Enlai playing the lead character, an NSboy. Lots of bloggers like Yongwei, Mint Leong, and HPility. Lots of politicians, and like I said before, "rad bikinies" and even... a bear. But I shan't reveal too much for fear of giving out spoilers. I play two roles in this video. Try spotting me when you watch it! Well, that was that. And then I raced off for my rehearsal at The Esplanade. Not before grabbing a can of my favourite energy booster.